Click Here to Register for Jr. Bulldogs Wrestling! 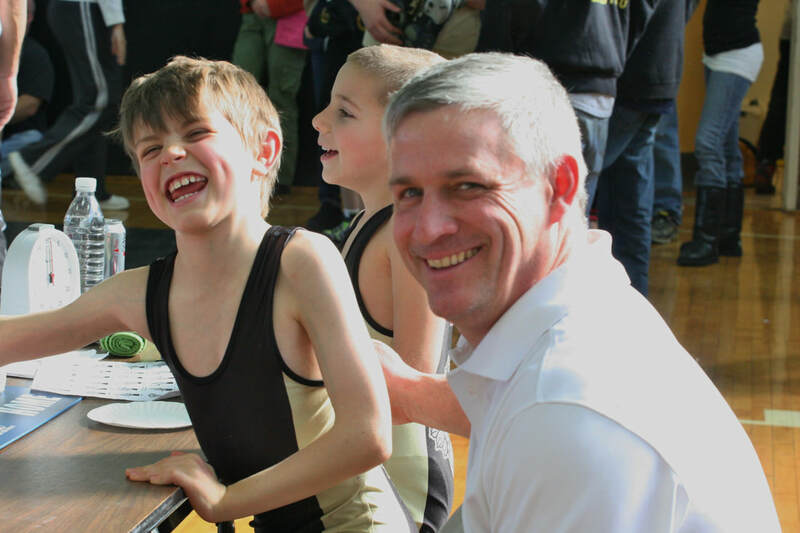 The Hopewell Valley Jr. Bulldog Youth Wrestling program is entering its 18th season! All wrestlers ages K-8 are welcome. Prior wrestling experience is NOT required! Practices are Tuesday and Thursday night, from 6:00 - 7:30 at the Timberlane Middle School Auxiliary Gym. Wrestlers need to supply wrestling shoes and headgear. We do have a large bag of spare shoes that can be borrowed in case a wrestler forgets! The 2018-2019 season begins in early November and ends in late February. ​Matches will be held on weekends against other teams in the Delaware River Wrestling League. Wrestlers are paired against participants of comparable age, weight and skill level. The league does the match with the goal of all wrestlers winning about half their matches. Your child will get anywhere from 15 to 30 matches each season. The Junior Bulldogs are coached by Ward Taggart, Matt Barnabei, Dave Gerstacker and Rob Flory. To register for this great program, please click on the "Click Here to Register" link at the top of the page.